Metallurgical companies are gasping for scrap. Ukrainian metallurgical companies in January-April 2016 increased imports of hot briquetted iron (HBI), which is a substitute for scrap, 9.6 times over the same period last year to 26,776 tonnes. In January-April 2015 the nation's steelmakers imported 2,783 tonnes of HBI. All 100% of the supplies were from Russia. According to customs statistics made public by the State Fiscal Service of Ukraine on Monday, HBI imports jumped 4.5-fold to 3.707m dollars (829,900 dollars), gazeta.ua said. 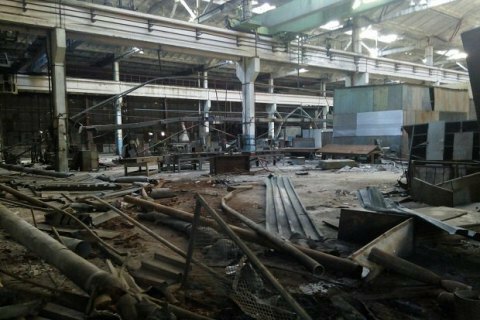 As reported, Ukrainian metallurgical companies recently have been experiencing an acute shortage of metal scrap. Metallurhprom, an industry association, has stated that the main reason behind ferrous scrap deficit is its uncontrolled export from Ukraine. On 21 April, parliament adopted a law on the increase of export duties on scrap metal to the level of 30 euros per tonne. On 14 May, President Petro Poroshenko vetoed the law. According to the State Fiscal Service, in April 2016, scrap dealers boosted exports to 82,473 tonnes against 11,548 tonnes of scrap exports over the entire 1Q this year. In general, Ukraine exported 94,021 tonnes of ferrous scrap in four months. Ukraine increased exports of ferrous scrap by 29.4% or 31.5% last year (depending on a comparable basis) over the year 2014 to 1,212,558 tonnes (according to the customs service, 2014 exports reached 936,937 tonnes, while according to the State Statistics Service, they were 921,938 tonnes). Monetarily, exports fell by 1.6%, or increased 0.2% to 290,338,000 dollars (295,191,000 dollars and 289,848,000 dollars respectively).